Mike Parker Joins CTM Advisory Board! Mike Parker has joined CTM as an Advisory Board member, assisting Arthur in strategic and tactical planning for CTM’s 2016 calendar of activities. Mike is a proven leader in global evangelism, leadership, networking, project management, and collaborative partnerships. He is an entrepreneur having started or co-started four ministries and a wilderness therapy program for troubled youth. He is known as a gifted evangelist, visionary, project manager, leader, and sought after speaker. 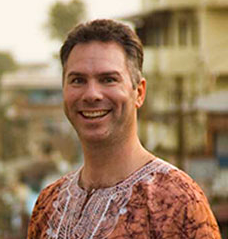 Mike has extensive international experience having ministered in 40 countries around the world. For more on Mike, please visit the CTM web site at https://ctmafrica.org/ctm-advisory-board/.